Example of a Compact Galaxy group. 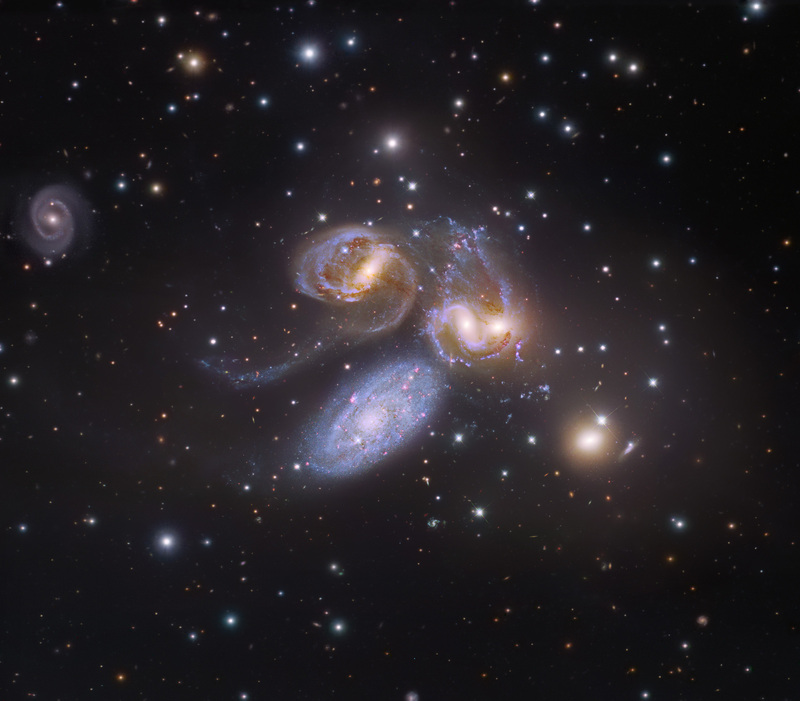 This image is of famous group Stephan's Quintet and was taken from the Astronomy Picture of the Day website based on Subaru and Hubble data (www.apod.nasa.gov). Most galaxies in the local Universe are found within poor groups. Studying the physical processes in these systems is thus fundamental to understanding galaxy formation and evolution, which remains one of the key goals of extragalactic astrophysics. 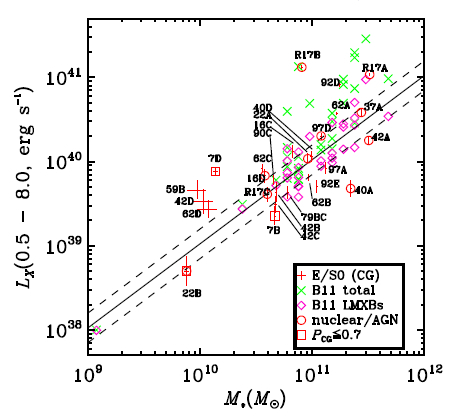 Compact galaxy groups constitute an extreme class of such small galaxy systems, The separations of galaxies in these systems are typically of the order of just a few galaxy radii; velocity dispersions are low, with a radial median ∽ 200 km s-1, while galaxy number densities are high. Thus Compact Groups are environments where galaxy interactions are prevalent. Such interactions give rise to tidal tails and favor collapse of giant molecular clouds, thus affecting star formation and its evolution. Star formation appears to be accelerated when compared to galaxies that do not reside in such an environment.